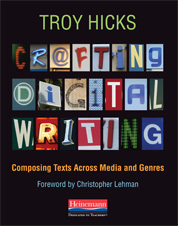 Digital Writing, Digital Teaching is a blog written by Troy Hicks, a professor of English and education at Central Michigan University. 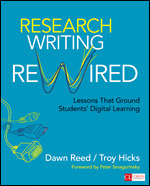 It explores the variety of issues related to teaching writing with new media for K-16 teachers and teacher educators. For more on this, see my longer explanation below, originally posted on my first blog in the summer of 2005. For an updated biography with very short, short, and full versions, please visit this Google Doc. Please contact me via email at hickstro at gmail.com, or fill out the contact form. As I begin writing my first “official” post for my blog, I immediately begin wondering what this is all going to be about. For instance, I was talking yesterday with some other English educators at Michigan State about different genres in which we might represent our work. After all the traditional genres of academe were named (journals, conference papers, websites, syllabi, CVs, assignments, digital portfolios, etc.) I suggested blogs. Moreover, I posed a question: How might an academic be able to get his or her work “out there” through a blog, and how might he or she be compromised, perhaps by someone plagiarizing them? This was an interesting discussion. It yielded some fruitful discussion about authority and the ways in which academics, particularly graduate students, could and should represent their work to the larger fields in which they work. A few weeks ago, I had talked with two colleagues from the National Writing Project – Will Banks and Maria Angala – at the NWP Tech and Writing retreat. Both of them encouraged me to begin blogging. Blogs are, of course, something that I have known about for a few years and, to some degree, even began playing with a while ago (more on that in future posts). But, as a young scholar, preparing to write a dissertation, I was concerned that it is still risky to put my ideas out into cyberspace in such a manner.But, as you can see, I took the leap. 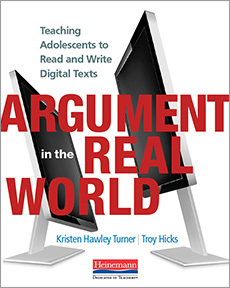 After looking at Maria’s blog and thinking carefully about what other English Ed scholars, like Rob Rozema, are doing with blogs, too, I figured that I had to get into the fray. So, here I am.Thus, I begin my blog in earnest by asking myself two questions. First, what, specifically is it that I have in mind as a purpose and audience for this blog? Second, with what authority do I have to speak to that audience about such issues?The answers are intertwined. 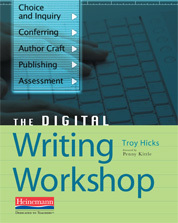 First, I believe that I do have a few things to say about digital writing. As a teacher, a professional developer, a budding scholar, and a technologist, I feel that I have some right to speak on this issue. When other people in your field begin asking for your advice, opinions, and expertise on topics related to technology and writing, I think that it is safe for an academic to say that he or she has expertise in it. I am not trying to brag here (far from it), because I know that there is plenty about literacy research and technology write largely that I don’t know. I am simply trying to understand what it means, as a scholar, to become an “expert” at something. Always becoming, they say. From my perspective, once your colleagues in a field begin saying that you are an “expert” in a certain area, however, then you have their backing to speak out on some issues related to it. Also, and again not to break my arm to pat myself on the back, I feel like I have a certain edge about using technology in education that I can share. I plan to use this blog as a forum to do so. (For the record, I am a graduate student at MSU in the teacher education program and I work at the Writing Center as the Outreach Coordinator for the Red Cedar Writing Project. More on all that soon. )Second, I want this blog to be more than just a journal of what I am doing with professional development, research, and technology. Blogging is not a peer-reviewed medium, at least in the classic sense of that term, and I want to make sure that I am adhering to some level of professional and ethical behavior here. For me, blogging is about more than just keeping a diary. This comic seems to best sum up the difference between a blog and a journal/diary, although I know that the line can still seem slim. 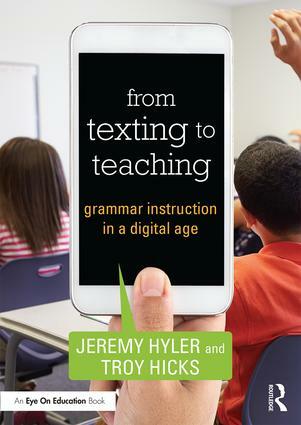 My intent is to keep the discussions here focused largely on issues facing teachers and teacher educators who are trying to incorporate digital writing into their teaching. This is not to say that I won’t offer some thoughts on my family and friends from time to time, but even that will likely take a literacy/technology focus. Well, this is quite a bit to chew on for me as a writer and, I am sure, for you as a reader. 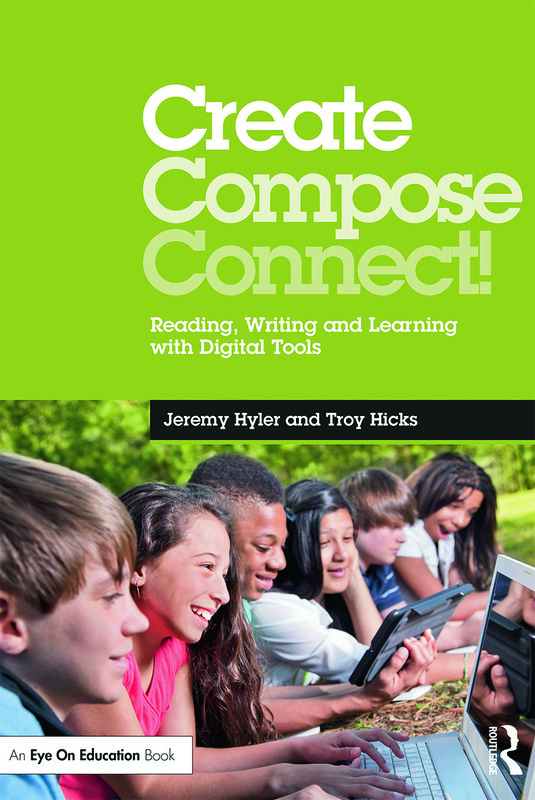 I am hoping that between the podcast (which is now defunct, sorry) that I am doing with my best friend, Steve, my own digital portfolio, and this blog, I will come to better understand the ways in which digital writing can impact education. In that process, I hope that I can offer some insights and ideas as well as pose some critical questions that you might be able to talk with me about. If you are interested in joining this blog, just post a comment and I will try to figure out how to add you as a member through Word Press. Pingback: Socially Sourced Feedback: The Experiment « explore. create. share. Pingback: a good blog post from an education blogger | well, duh.